On Good Friday, we reflect on Jesus' death for our sins. 1 Peter 2:24 (MSG) "He used his servant body to carry our sins to the Cross so we could be rid of sin, free to live the right way. His wounds became your healing." Because of Jesus' sacrifice, there is always hope. 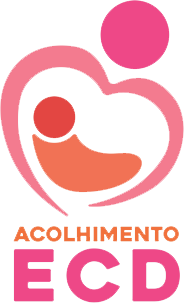 We thank God for the hope that Encontro Com Deus brings to the lives of the vulnerable in Curitiba, Brazil. Happy Palm Sunday from all at ECD UK! This mother's day, we wish a blessed day to those who are mothers, those who find mothers day a troubling time, and those mothers who are in difficult times themselves. We are so thankful, not only for the wonderful mums at both of the houses in ECD who have sought refuge for themselves and their children, but also for all of the people who have supported them, both financially and in prayer. Thank you! 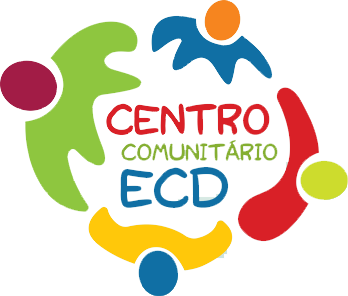 Last week, ECD were able to participate in a course called "DNA of the Brazilian Woman", which aimed to help Christian organisations that work to protect women who have been victims of violence. It was a really special night and there may be so many exciting things to come from this! Check out these fab photos from when our 2019 UK Team went out to Brazil! You can almost feel the joy radiating from the pictures! Who knew pie in the face could be so much fun?! You can get involved, too - just drop us a message. As we reflect on inspirational women who have fought for the rights we have, and remember how much there still is left to fight for, think of women who battle every day just to stay safe or stay alive, both in our country and in Brazil. Think of the women in the Casas at ECD, fleeing dangerous situations involving violence and drugs, who fought to protect their children. Let's keep fighting for those women, and keep supporting Encontro Com Deus Brazil, who provide them with shelter and support. Check out these great pics of the 2019 UK Team sharing their fabulous stories from Brazil with the congregation at St Peter's Church, Woolton, Liverpool. It was such a life-changing experience, and they saw the truly amazing things that ECD do in Brazil. Think you could get involved or might like to visit Brazil yourself some day? Get in touch! Hidden Beauty Brazil had its launch this week. Its combination of supporting victims of domestic violence and promoting inner beauty through fashion is truly inspirational. There have been plenty of sad goodbyes at Encontro Com Deus recently. Our wonderful UK team have had the best time sharing their gifts, talents and passions with the children, mums and babies in Curitiba, Brazil. Encontro Com Deus really does make a difference : keeping children off the streets, and keeping mums and babies together where they might otherwise be separated due to dangerous situations. Thank you so much, UK Team, for the way you've blessed everyone this week. This year, the age span of our fabulous UK team is around 68 years. How amazing to have wonderful people from so many different ages and walks of life spending time with the lovely children of Encontro Com Deus in Curitiba.